Abbreviation for basal metabolic rate. Basal metabolic rate, see there. The speed or frequency of occurrence of an event, usually expressed with respect to time or some other known standard. In radiology, the speed with which medical images are recorded, usually expressed in images per second. 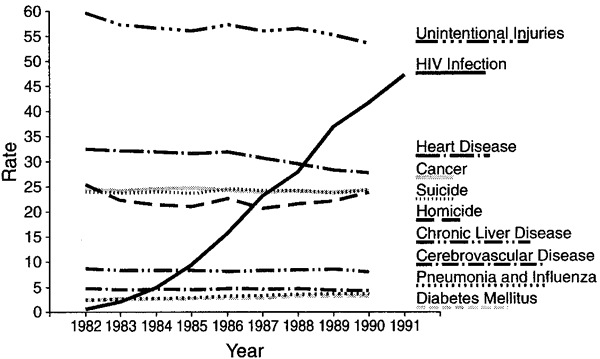 The rate of occurrence of new cases of a disease. The average range of beats per minute recorded within a 10-min time frame. The normal range is between 120 and 160 beats per minute. The number of live births per 1000 in the population in a given year. The percentage of individuals afflicted with an illness who die as a result of it. The frequency with which a gene will be inherited or expressed by identical or fraternal twins. In assisted reproduction technology, the number of newborn deliveries achieved in every one hundred follicular aspirations, embryo transfers, or stimulated cycles. The quantity of medicine or radiation administered per unit of time. The rate of occurrence of negative test results in those who have the attribute or disease for which they are being tested. The rate of occurrence of positive test results in those who do not have the attribute or disease for which they are being tested. The number of births per year per 1000 women between ages 15 and 44 in a given population. The number of fetal deaths per 1000 live births, usually per year. The rate at which an individual, tissue, or organ grows over time. The number of heartbeats per unit of time, usually expressed or written as number per minute. A normal resting heart rate for an adult is 60–100 beats per minute. The number of deaths per year of live-born infants less than 1 year of age divided by the number of live births in the same year. This value is usually expressed as deaths per 100,000 live births. The speed of administration of a solution in mL/hr. It is calculated by the following formula: Rate = (Dose × 60 × Body weight)/Concentration, in which the dose is in mcg/kg/min; 60 is in min/hr; weight is in kg; and the concentration of the substance in solution is in mcg/mL. The average airflow during the middle half of a forced vital capacity effort. The rate of utilization of energy. This is usually measured at a time when the subject is completely at rest and in a fasting state. Energy used is calculated from the amount of oxygen used during the test. The number of deaths in 1 year of infants aged 0 to 28 days divided by the number of live births in that same year. The maximum rate of exhalation during a forced expiration, measured in liters per second or liters per minute. It is used as a test of airway obstruction. The number of stillbirths (in which the gestation period was 28 weeks or more) in the first 7 days of life divided by the number of live births plus stillbirths in the same year. 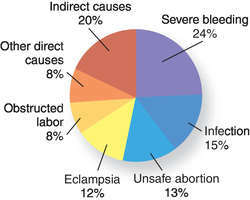 This value is usually expressed as deaths per 100,000 live births plus stillbirths. The number of heartbeats per unit of time that can be detected by palpating any accessible artery. The number of breaths per unit of time. A nonspecific laboratory test used as a marker of inflammation. In this test the speed at which erythrocytes settle out of unclotted blood is measured. Blood to which an anticoagulant has been added is placed in a long, narrow tube, and the distance the red cells fall in 1 hr is the ESR. Normally it is less than 10 mm/hr in men and slightly higher in women. The speed at which the cells settle depends on how many red blood cells clump together. Clumping is increased by the presence of acute-phase proteins released during inflammation. The rate at which electromagnetic energy is absorbed by a kilogram of tissue, usually expressed as the heat absorbed by the tissue, or as the power absorbed per unit of mass. Abbrev. for BASAL METABOLIC RATE. Lack of sufficient energy stores during this period results in the energy deficiency phase taking place, body weight falls and BMR is lowered. Se encontro una correlacion alta y positiva (p<0,05) entre la altura del tapiz y el forraje disponible al inicio de los pastoreos tanto para sudangras (r=0,80) como para sorgo BMR (r=0,80). residence 1 F 57 BMR[dagger] 2 M 48 BMR 3 M 68 Greenbushes 4 F 39 BMR 5 M 65 Collie 6 M 56 BMR 7 F 69 BMR 8 M 66 BMR 9 M 10 BMR 10 F 8 BMR 11 F 3 BMR Patient Pre-existing Onset of Duration of no. Strain differences in BMR and in organ masses have been well documented (Pennycuik 1967; Storer 1967; Schlager 1968; Mount 1971; Roderick et al. Chris Travis, CTO of HiWave added, "Our BMR technology overcomes the difficulties and compromises that come with the use of conical or domed diaphragms. On 16 August 2016, BMR first announced it had entered into an option agreement with Bushbuck Resources Ltd. The deal, which makes BMR a wholly owned subsidiary of La Coop, is the conclusion of a union that began more than a year ago, when La Coop bought up 20 percent of the closely held buying group and wholesaler. First, BMR senior QB Kevin Cruz threw a pass into the hands of Jimmael Cruz, who raced untouched into the end zone to give North a 13-8 lead. Taking into account the advantages of virtual systems, the new BMR functionality allows for virtual to physical (V2P) and physical to virtual (P2V) restoration. The BMR functionality will be provided by software from UK-based data protection and recovery software specialist Cristie Software and will be fully managed by PEER 1 in conjunction with standard managed backup plans. According to the company, the new BMR software release converges the Broadcast Video Services (BVS) and Digital Video Broadcasting (DVB) software lines into a single offering, designed to improve operational efficiency. The BigBand BMR platform enables us to convert to an all-digital environment, so we can provide our subscribers with an exciting expansion of quality programming content.